Search Anna Maria homes to live in one of Florida’s unspoiled beach villages on Anna Maria Island. The island serves as a barrier between the waters of the Gulf of Mexico and Florida’s peninsula. 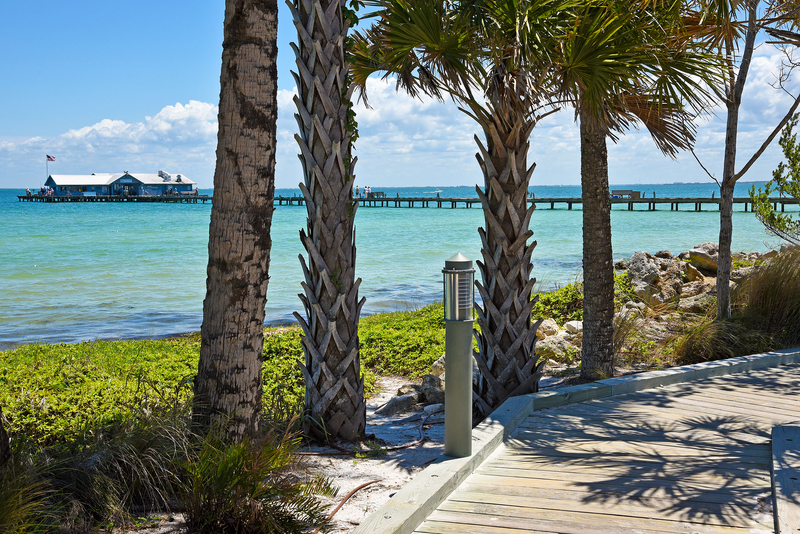 Just under 2,000 people live on Anna Maria real estate. There are both full-time and part-time residents, and the town preserves a friendly, close-knit community year-round. The beaches in Anna Maria are pristine and quiet, and the nesting grounds of the endangered loggerhead turtle. The entire city is also a bird preserve. Many residents become actively involved in conservation efforts. The waters around Anna Maria are home to manatees, bottlenose dolphins, and amazing fishing for both sport and food. Several great charter fishing companies will take guests to the best areas to fish. Residents of Anna Maria homes need to do most of their shopping for everyday needs in nearby Bradenton Beach. However, there is no shortage of things to do and places to go in Anna Maria. Amazing sea food can be found at Waterfront Restaurant. Save room for the key lime pie at Hometown Desserts. Find gourmet treats at Olive Oil Outpost and host a party. Best of all is a day spent soaking up the sun and sea at one of city’s incredible beaches.